Travel done the west side of Mt Washington and you’ll discover Glassell Park’s sunset and city lights views. The neighborhood continues to the flats, bordered on the northeast by Glendale. The area once known as Rancho San Rafael was granted to Spanish army corporal José María Verdugo in 1784. In 1871 Andrew Glassell received part of the ranch from the lawsuit. 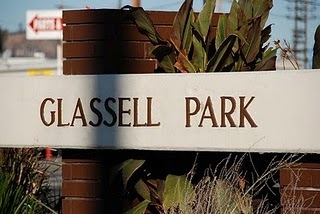 Many streets in the area are named for members of the Glassell family, including Toland Way, Drew, Andrita and Marguarite. Eventually, the family subdivided the land, making way for the many residential streets that make up the neighborhood today. Hilly or flat, Glassell Park offers affordable and interesting houses, all the more appealing for its’s easy proximity to Glendale, downtown and all of northeast LA. © 2019 Edith & Liz Sell LA. All Rights Reserved.